What is The Difference Between Hot and Cold Rolled Steel? - ZhangYun Machinery Manufacturing Co.,Ltd. You are here: Home » News » Product News » What is The Difference Between Hot and Cold Rolled Steel? Steel usually comes in various grades, shapes, specifications as well as finishes and there are more than 3,500 different grades of steel, each with its unique properties around the world. The various kinds imply that steel can be widely used in infrastructure, appliances, wind turbine, vehicles as well as other applications. The optimization of steel’s properties for each application goes beyond changing the chemical composition. However, the manufacturing process of steel have a crucial effect on the product which are formed even with similar grades as well as specification. One essential distinction among fabricated steel products is the difference between hot rolled and cold rolled steel. 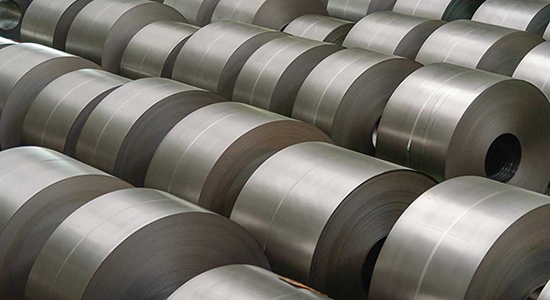 It is essential to note that the major difference between hot rolled and cold rolled steel is one of the process. Hot rolling refers to the processing done with the aid of heat. Cold rolling refers to the process done at or near room temperature. Although these techniques affect the overall performance as well as application, they should not be confused with the formal specifications and grades of steel which relate to metallurgical composition as well as performance ratings. Steels of different grades and specifications can either hot rolled or cold rolled including both basic carbon steels as well as other alloy steels. This may seem obvious but some kinds of steel are better suited for certain applications. The hot rolled steel is the kind which has been roll-pressed at very high temperatures over 1, 700˚F, which is above the re-crystallization temperature for most steels. This makes the steel easier to form thereby resulting into products that are easier to work with. So as to process hot rolled steel, manufacturers first start with a large, rectangular length of metal called a billet. The billet is heated and then sent for pre-processing where it is flattened into a large roll. Form there, it is kept at a high temperature and run through a series of rollers to achieve its finished dimensions. The white-hot strands of steel are pushed via the rollers at high speeds. For sheet metal, rolled steel is spun into coils and left to cool. For other forms, such as bars or plates, materials are sectioned and packaged. · Slightly distortions where cooling may result in slightly trapezoidal forms as opposed to perfectly squared angles. The cold rolled steel is essentially hot rolled which has undergone further processing. Once hot rolled steel has cooled, it is then re-rolled at room temperature to achieve more exact dimension as well as better surface qualities. The cold rolled steel is mostly used to describe a range of finishing processes, although cold rolled usually applies only to sheets which undergo compressions between rollers. Steel forms that are pulled such as bars or tube are “drawn” rather than being rolled. Other cold finishing processes including turning, grinding and polishing are used to modify the existing hot rolled stock into a more refined product.